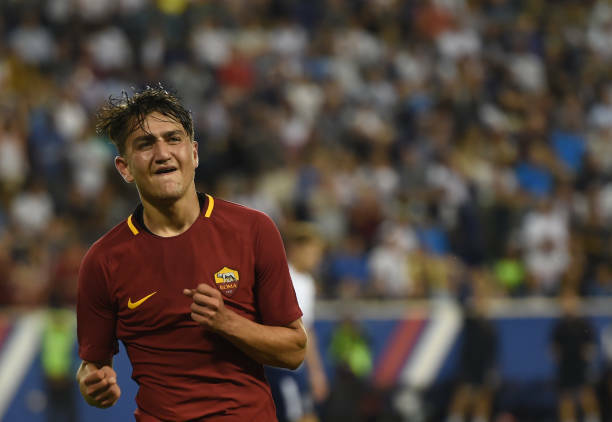 Arsenal have made a £26 million offer for Roma wonderkid Cengiz Under according to Tuttomercato. Per the source, the Giallorossi rejected the bid and are holding out for £43.8 million. The report also claims that Monaco made an offer for Under worth £30.7 million. Under joined the Serie A outfit from Basaksehir last summer on a £13 million move, which is a record for a Turkish international leaving the Super Lig. The 20-year-old rose through the youth ranks of Altinordu alongside fellow Arsenal target Caglar Soyuncu before moving to Basaksehir. The Turkey international struggled to settle in initially before breaking into the first-team in February. Since then Under has scored eight goals and provided two assists in all competitions. The rising star scored the away goal that knocked Shakhtar out of the Champions League Last 16 and provided the assist that eliminated Barcelona from the quarter-finals. Roma sold Mohamed Salah to Liverpool last season for what now seems like a bargain at £34 million. Under was actually signed as Salah’s replacement and is one of the most highly rated youngsters in the Roma squad. The Italian side are reported to be working on offering Under a new contract until 2023 worth £1.75 million-per-season including bonuses. Under has also become a star name for the Turkey national side, scoring four times in eight appearances in all competitions. The youngster currently has another four-years remaining on his current contract.